(from the Associated Press at CBS News) — Russia asked permission on Monday to start flying surveillance planes equipped with high-powered digital cameras amid warnings from U.S. intelligence and military officials that such overflights help Moscow collect intelligence on the United States. Russia and the United States are signatories to the Open Skies Treaty, which allows unarmed observation flights over the entire territory of all 34 member nations to foster transparency about military activity and help monitor arms control and other agreements. Senior intelligence and military officials, however, worry that Russia is taking advantage of technological advances to violate the spirit of the treaty. In December, Rose Gottemoeller, Under Secretary of State for Arms Control and International Security, sought to temper concerns about Russian overflights, saying that what Moscow gains from the observation flights is “incremental” to what they collect through other means. 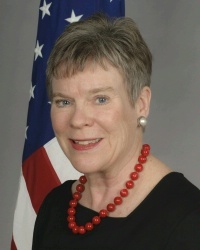 Rose Gottemoeller, Under Secretary of State for Arms Control and International Security for the U.S. State Department. From the Associated Press. Reprinted here for educational purposes only. May not be reproduced on other websites without permission from CBSNews. Visit the website at cbsnews .com. 1. What is Russia asking the Open Skies Consultative Commission permission to do? 3. What warnings do U.S. intelligence and military officials have about Russia’s request? How does each one explain his concern? Be specific. 4. a) What decision will President Obama have to make regarding Russia’s request? b) What conflicts do we have with Russia right now? 5. How did the Under Secretary of State for arms control and international security try to downplay concerns over Russia’s flights? 6. What measures has Russia adopted that are “inconsistent with the spirit” of the treaty? a) What measures do you think the Obama administration should take in addressing Russia’s potential flights over the U.S. and our military bases? b) Do you think President Obama should do the same as Turkish President Erdogan and refuse a Russian Open Skies mission over the U.S.? c) Should this Treaty be reconsidered because of Russia’s actions in Ukraine and Syria? Explain your answer. d) What position would you want the presidential candidate you support to take on Russia’s application to fly surveillance over the U.S.? The Treaty on Open Skies entered into force on January 1, 2002, and currently has 34 States Parties. It establishes a program of unarmed aerial surveillance flights over the entire territory of its participants. The treaty is designed to enhance mutual understanding and confidence by giving all participants, regardless of size, a direct role in gathering information about military forces and activities of concern to them. 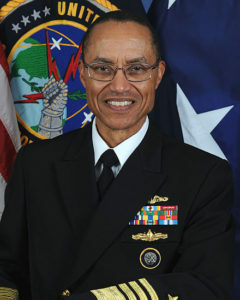 Open Skies is one of the most wide-ranging international efforts to date promoting openness and transparency of military forces and activities. 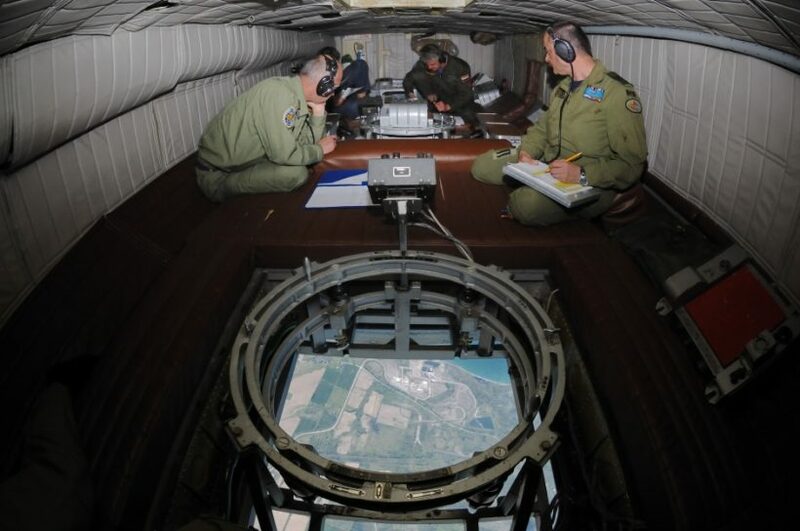 The concept of “mutual aerial observation” was initially proposed to Soviet Premier Nikolai Bulganin at the Geneva Conference of 1955 by President Dwight D. Eisenhower; however, the Soviets promptly rejected the concept and it lay dormant for several years. The treaty was eventually signed as an initiative of US president (and former Director of Central Intelligence) George H. W. Bush in 1989. Bush reintroduced the treaty as a means to build confidence and security between all North Atlantic Treaty Organization (NATO) and Warsaw Pact countries. Negotiated by the then-members of NATO and the Warsaw Pact, the agreement was signed in Helsinki, Finland, on March 24, 1992. The treaty entered into force on January 2, 2002, after Russia and Belarus completed ratification procedures. The 34 State Parties to the Open Skies Treaty are: Belarus, Belgium, Bosnia and Herzegovina, Bulgaria, Canada, Croatia, Czech Republic,Denmark, Estonia, Finland, France, Georgia, Germany, Greece, Hungary, Iceland, Italy, Latvia, Lithuania, Luxembourg, Netherlands,Norway, Poland, Portugal, Romania, Russian Federation, Slovak Republic, Slovenia, Spain, Sweden, Turkey, Ukraine, United Kingdom, and the United States. Kyrgyzstan has signed but not yet ratified.